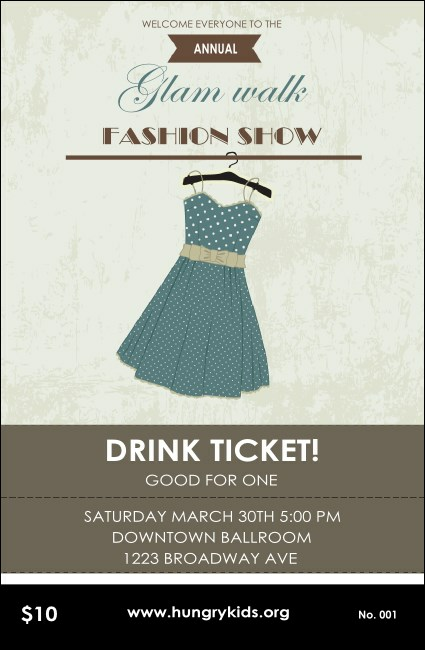 Showcase the right look for your event when you hand out the Dress Drink Ticket. This lovely design features soft blues and tans, with a sweet blue polka dot dress hanging in the middle. This ticket template includes individual numbering for easy event organization.